It’s not so long ago that compact cameras with large sensors began to capture the mass market. In fact, one of the first entries into that market was the Canon PowerShot G1 X, a compact camera with a large sensor. 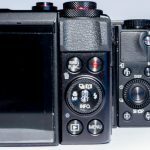 Prior to the G1 X’s entry into the market, compacts with large sensors were scarce, made only by Leica and Sigma. While these cameras were well-regarded by professional photographers their lenses lacked variable focal length, a proven asset for the everyday photographer. 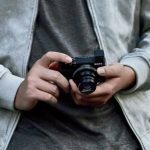 The G1 X wasn’t alone in the marketplace for long because six months after the GX 1’s release Sony made its first entry into the market with its Cyber-shot DSC-RX100. 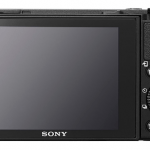 The DSC-RX100 is equipped with a one inch sensor control, a half-inch smaller than the G1 X. However, the wide-angle lens aperture is significantly higher – ƒ/1.8 against ƒ/2.8 from Canon, one step better. Gains are realized at the long end – ƒ/4.9 compared to ƒ/5.8. 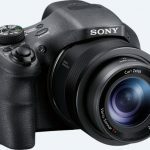 In addition, while the RX100 traditionally has featured a robust selection of components Sony can now boast of numerous additional functions, as well as a video mode that even in absentia dominates the competition from Canon. 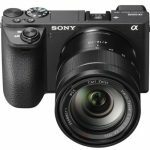 The RX100 is much smaller and twice as easy to use, but more expensive. Which camera is better? When we tested the final version of the RX100 we found the delivery to be incomplete. Included in the camera box was a webbing strap, battery charger and a mini USB-cable. Commercial packages also include a belt, the user’s guide and a CD ROM with additional software and the electronic version of the user’s guide. There are many additional opinions available for the RX100 including additional bags and cases, tripods, display protection, extra batteries and chargers, memory cards, as well as a 5-year extended warranty. Its one thing to look at performance specifications, and quite another – to hold the camera in your hand. The camera body was surprisingly small and light. The RX100 is much smaller and lighter than the Canon PowerShot G1 X, and devices like the Olympus XZ-2 iHS or Panasonic DMC-LX7. While the Samsung EX2F is a bit thinner it’s still larger than the RX100 we tested. It’s interesting to note that the camera with the large sensor also had superior styling to all of the advanced compact cameras with a matrix size of 1/1, 7 inches. Of course the camera body is made of metal consisting of just two main case panels. They are adjusted ideally, and the general assembly is flawless. Despite the relative thin nature of the camera it withstood attempts to twist and squeeze it without giving-in or cracking. The surface of the panels are a little coarse; covered with a thin, but a durable layer of black lacquer. The paint and lacquer surface would be difficult to damage, but the surface is quick to show fingerprints. The saving grace here is that the surface is very easy to wipe clean. In front there is an autofocus assist lamp and a lens control ring. The display is found in the back of the camera. The thickness of the framework is minimal making the rear of the camera very attractive. On the right side are video recording controls, a main menu input button and a functional multipurpose revolving round button featuring an enter button in the center, and arrow keys to move your view and get help. On top is a flash, a couple of microphones, power button and the shutter key, complete with zoom control lever, as well as the shooting mode selector dial. The bottom of the camera features hidden compartments for the battery and memory card, a hidden single cover, adapter for a tripod mount, and a rubber plug, beneath which is an HDMI-cable port. On the right, under a plastic door, a socket micro-USB port is available, and on the left one finds the system microphone.